Much confusion and controversy exists over how the Lord created the earth. The scriptures say “For in six days the LORD made heaven and earth, the sea, and all that in them is” (Ex. 20:11, Mosiah 13:19). Rather than being veiled in complete mystery, the Lord has revealed much to us in the existing Creation accounts about how he created the earth, in what sequence, and approximately how long it took him. All that is required is the faith to believe what is written and the spiritual maturity to discern the passages properly. This paper will analyze this information which the Lord has given us regarding the Creation of the world and discuss what took place on each Creation day. How Long is a “Day”? Many have speculated unduly about the length of the Creation “day.” Since its length is often erroneously considered to be ambiguous, it is thought that the days could consist of millions of years, thus allowing for any or all aspects relating to evolution theory. But the length of the Creation “day” is not kept from our knowledge. In fact, it is explicitly given to us in scripture. Orson Pratt also said, “The events of this creation…and finally the great day of rest after the six days were ended, were all typical, the latter especially, typifying what should take place in regard to the future existence of this creation. After six thousand years should pass away…in the seventh period, or the seventh thousand years, [Satan] should be bound” (Journal of Discourses 16:318). In other words, the Creation is reflective of the future destiny of the earth. In its Creation, the earth underwent approximately six thousand years of construction, until there was a great rest on the seventh day. Now, after its Creation, there has been six thousand years of human history, analogous to the six 1,000-year Creative periods. And sometime “in the beginning of the seventh thousand years,” which we are fast approaching, “will the Lord God sanctify the earth, and complete the salvation of man” (D&C 77:12). Thus the day of rest the Lord took on the seventh day of the Creation (Moses 3:1-2; Abr. 5:1-2) is a type and a shadow of the Millennial reign of Christ. Many have assumed a very long period of time, far exceeding six thousand years, for the Creation. But in this they are mistaken and at odds with Revealed Writ. Where Was the Earth Created? It will come as some surprise to a few that the earth was apparently not made in our present solar system. 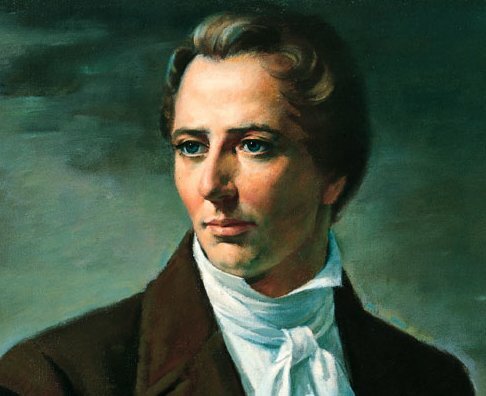 Joseph Smith taught that, “This earth will be rolled back into the presence of God, and crowned with celestial glory” (Teachings of the Prophet Joseph Smith, p. 181, emphasis added), suggesting that, if it is to be rolled back into God’s presence, then it has come from that place originally. Hyrum L. Andrus notes that “John Taylor also wrote that at the transgression of Adam the earth fell ‘from where it was organized, near the planet Kolob’” (Hyrum L. Andrus, God, Man, and the Universe, p. 374). If the earth was formed near Kolob and only ever placed in our present solar system as a consequence of the Fall, this would explain why it is said that before the Fall, “as yet the Gods had not appointed unto Adam his reckoning” of time (Abr. 5:13). When the earth was framed and brought into existence and man was placed upon it, it was near the throne of our Father in heaven. And when man fell—though that was designed in the economy, there was nothing about it mysterious or unknown to the Gods, they understood it all, it was all planned—but when man fell, the earth fell into space, and took up its abode in this planetary system, and the sun became our light. When the Lord said—“Let there be light,” there was light, for the earth was brought near the sun that it might reflect upon it so as to give us light by day, and the moon to give us light by night. This is the glory the earth came from, and when it is glorified it will return again unto the presence of the Father, and it will dwell there, and these intelligent beings that I am looking at, if they live worthy of it, will dwell upon this earth. It is clear, then, that the Gods formed our earth near Kolob, that heavenly orb which “is set nigh unto the throne of God, to govern all those planets which belong to the same order as [earth]” (Abr. 3:9). And at the Fall of Man, the earth lost its preferred status and “fell into space, and took up its abode in this planetary system” (JD 17:143) as President Young said. How does a planet hurtle through space like this? Such a thing would seem outlandish and incredible to present-day astronomers and scientists. But the earth had not become a telestial sphere until it reached its appointed place in our solar system. Prior to that, as a paradisiacal planet, it was subject to different conditions than all telestial matter. God perhaps opened up “a conduit” (JS-H 1:43) in space, like he did to convey the angel Moroni to and from Joseph Smith, in order to give our planet safe and instantaneous transport to its present location. We should not limit the principles of Celestial and Terrestrial worlds to our present scientific understanding. We cannot even see a Celestial sphere, for instance. They are “a sea of glass” (D&C 77:1) and are invisible to unquickened eyes. 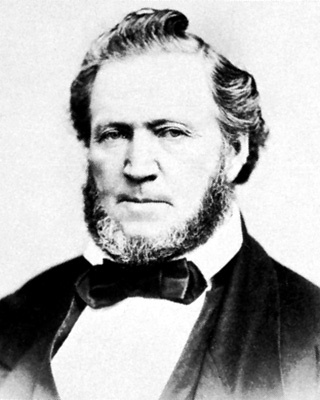 Brigham Young explained, “Why cannot we behold all things in space? Because there is a curtain dropped, which makes them out of sight to us. Why cannot we behold the inhabitants in Kolob, or the inhabitants in any of those distant planets? For the same reason; because there is a curtain dropped that interrupts our vision. So it is, something intervenes between us and them, which we cannot penetrate” (Journal of Discourses, p. 1: 351 - 352). The Book of Abraham says, “And then the Lord said: Let us go down. And they went down at the beginning, and they, that is the Gods, organized and formed the heavens and the earth” (Abr. 4:1). Brigham Young confirmed that, “It is true that the earth was organized by three distinct characters, namely, Eloheim, Yahovah, and Michael, these three forming a quorum” (Journal of Discourses <?xml:namespace prefix = st1 ns = "urn:schemas-microsoft-com:office:smarttags" />1: 51). Michael, who is Adam (D&C 27:11; 107:54), was the junior member of this Creative quorum, but nevertheless an appropriate part of it. As the first man to walk upon its face, the one to cause the conditions of the Fall, and the father of all living, Michael or Adam was a very appropriate addition to this great quorum. Also, as to priesthood authority, Michael does not rank far below Christ. Joseph Smith related that “Christ is the Great High Priest; Adam next” (Teachings of the Prophet Joseph Smith, p. 158). It is self-evident that the priesthood is required to participate in the formation of a world. That is why “The Priesthood was first given to Adam,” according to the Prophet Joseph, and “he obtained the First Presidency, and held the keys of it from generation to generation. He obtained it in the Creation, before the world was formed” (Teachings of the Prophet Joseph Smith, p. 157, emphasis added). This paper will now proceed to analyze the events of each of the Creative periods in order to increase our understanding of the events therein. The scriptural account of each day will be recited from both the Mosaic and Abrahamic accounts in order to obtain the greatest amount of insight possible. 2 And the earth was without form, and void; and I caused darkness to come up upon the face of the deep; and my Spirit moved upon the face of the water; for I am God. 3 And I, God, said: Let there be light; and there was light. 4 And I, God, saw the light; and that light was good. And I, God, divided the light from the darkness. 5 And I, God, called the light Day; and the darkness, I called Night; and this I did by the word of my power, and it was done as I spake; and the evening and the morning were the first day. On the first Creation day, the earth was organized from existing matter. It was not created out of nothing. The Prophet taught, “[Learned doctors] infer, from the word create, that [the world] must have been made out of nothing. Now, the word create came from the word baurau which does not mean to create out of nothing; it means to organize; the same as a man would organize materials and build a ship” (Teachings of the Prophet Joseph Smith, p. 350). The great misconception that has arisen from this wonderful truth is that God used large chunks and segments of dead worlds to form ours, and that this accounts for the presence of dinosaur fossils. This is false, and the teachings of Joseph Smith reveal it to be so. While it has been recorded that Joseph Smith said, “This earth was organized or formed out of other planets which were broken up and remodelled and made into the one on which we live” (Encyclopedia of Joseph Smith's Teachings, ed. by Dahl & Cannon, p. 203). Nevertheless, we are not justified in assuming that our world is a conglomeration of large chunks containing fossils from other planets. The Prophet Joseph taught, “Hence, we infer that God had materials to organize the world out of chaos—chaotic matter, which is element,” and so there is a name given to the matter from which our earth was made: element. Element is matter in its primal, indestructible form, not in the form of a large chunk of dirt or rocks. Joseph continues, “Element had an existence from the time he had. The pure principles of element are principles which can never be destroyed; they may be organized and re-organized, but not destroyed. They had no beginning, and can have no end” (Teachings of the Prophet Joseph Smith, p. 350). Therefore, the “element” or “chaotic matter” from which our world was organized was primal matter, something like the elements as they appear on the periodic table, not already formed chunks of earth. When the scriptures say that the earth was “without form, and void” it is the same as Abraham’s meaning of “empty and desolate” since the Hebrew word, bohuw, from which “void” is translated means “empty.” (New Strong’s Exhaustive Concordance of the Bible, Hebrew word #922). In fact, Joseph Smith taught that, “‘without form and void’…should read, ‘empty and desolate.’ The word ‘created’ should be formed or organized” (Encyclopedia of Joseph Smith's Teachings, ed. by Dahl &, p. 152). That the earth was “empty” means, no doubt, that there was nothing living upon it at this point. Once the earth was organized, it was covered in water. The scriptures say, “my Spirit moved upon the face of the water” (Moses 2:2) and “the Spirit of the Gods was brooding upon the face of the waters” (Abr. 4:2). It should be noted by all readers that this fact is in sharp contrast to evolution theory, which teaches that the earth began as a hot molten mass and gradually developed oceans. The scriptures here indicate without any ambiguity that oceans covered the entire earth before any land. After the Spirit of God “was brooding upon the face of the waters” (Abr. 4:2), the Gods said, “Let there be light; and there was light” (Moses 2:3; Abr. 4:3). It seems that the presence of the Spirit of God and will of God are what initiated a bathing of Celestial light upon the water-filled world. Where did this light come from, and what was its significance? This light did not come from the sun, since that was not created until day 4. This light came from the presence of the Lord himself. “I am the light of the world” (John <?xml:namespace prefix = st1 ns = "urn:schemas-microsoft-com:office:smarttags" />8:12), the Savior taught. “As also he is in the sun, and the light of the sun, and the power thereof by which it was made. As also he is in the moon, and is the light of the moon, and the power thereof by which it was made; As also the light of the stars…And the earth also…And the light which shineth” (D&C 88:7-11). In other words, God is the Lord of Light, and does not require a sun or star to give light – he can emit light independently. John Taylor concurred with this understanding when, speaking on the Creation, he taught, “They [the Gods] next caused light to shine upon it [the earth] before the sun appeared in the firmament; for God is light, and in him there is no darkness” (Journal of Discourses 18: 328). In this way God brought the world out of darkness and obscurity to perform his Creative enterprises. How is it that there was a “first day” and an “evening and the morning” (Moses 2:5) when God had not yet created the sun until day 4? How can there be days and evenings and mornings with no sun? It is because the days in question were according to the revolutions of Kolob, “for as yet the Gods had not appointed unto [the earth] his reckoning” (Abr. 3:4; 5:13). The fact that there was an “evening and the morning” and “the first day” three days prior to the sun’s appearance is further evidence that the earth was organized in the vicinity of Kolob. 7 And I, God, made the firmament and divided the waters, yea, the great waters under the firmament from the waters which were above the firmament, and it was so even as I spake. 8 And I, God, called the firmament Heaven; and the evening and the morning were the second day. Before God could prepare plants or animals, he first, of necessity, had to prepare a proper atmosphere in which such living things could survive. “[M]ine house is a house of order” (D&C 132:8), God has said, and all things are done in their requisite timing. “Firmament” in the Mosaic account means “an expanse” (New Strong’s Exhaustive Concordance of the Bible, Hebrew word #7549), which is how the Abrahamic account gives it. When the scriptures talk of the firmament “divid[ing] the waters from the waters” (Moses 2:6; Abr. 4:6) it has reference to the waters of the ocean which covered the entire earth at this time and the water vapor in the form of clouds. Whether the atmosphere at the time of the Creation carried the exact same proportion of gases as it does today is doubtful. At the early ages of the world, it was not uncommon to live over 900 years old. After the Flood this all changed and ages declined rapidly within the span of a few generations. Also, people and creatures were attaining to greater sizes than they do today, as evidenced by fossils and the comment in scripture that “in those days there were giants on the earth” (Moses <?xml:namespace prefix = st1 ns = "urn:schemas-microsoft-com:office:smarttags" />8:18). After the Flood, this race of giants existed only in ever-decreasing numbers (Joshua 12:4). One of the contributing factors to this phenomenon could, perhaps, be attributed to a higher ratio of oxygen in the atmosphere prior to the Flood, or other atmospheric anomalies. God calling the firmament “Heaven” is in Hebrew shameh (New Strong’s Exhaustive Concordance of the Bible, Hebrew word #8064), which here has reference to the sky and the atmosphere encompassing our planet. It of course has no reference in this context to outer space or the place where the Gods dwell. 9 And I, God, said: Let the waters under the heaven be gathered together unto one place, and it was so; and I, God, said: Let there be dry land; and it was so. 10 And I, God, called the dry land Earth; and the gathering together of the waters, called I the Sea; and I, God, saw that all things which I had made were good. 11 And I, God, said: Let the earth bring forth grass, the herb yielding seed, the fruit tree yielding fruit, after his kind, and the tree yielding fruit, whose seed should be in itself upon the earth, and it was so even as I spake. After creating the atmosphere complete with all the gases necessary to sustain life, the Lord caused dry land to appear from beneath the waters. This is the first emergence of land, and as was noted above, is out of sequence with the false theories of evolution. In the beginning there was only one super continent. At the commencement of the Millennium God “shall command the great deep, and it shall be driven back into the north countries, and islands shall become one land…and the earth shall be as it was in the days before it was divided” (D&C 133:23-24). Far from taking millions of years, this division of the land occurred in one generation, “in the days of Peleg” (Gen. 10:25), just as its repair will occur suddenly when Christ comes. The popular modern theory of plate tectonics is insufficient to explain this amazing verity of the scriptures. It is interesting that the Gods gave names to the earth and sea and designated them as such (Moses <?xml:namespace prefix = st1 ns = "urn:schemas-microsoft-com:office:smarttags" />2:10; Abr. 4:10). This was probably done so that Adam would know what to call these things already when he made his appearance in the Garden of Eden. Adam already had the burden of naming all the animals he saw (Moses 3:19), so the fact that God named parts of the earth for Adam denotes that he was very interactive with the first man, and that he had a personal interest in his development. Throughout the Abrahamic Creation account, phrases like, “and the Gods saw that they were obeyed” (Abr. 4:10) occur many times. Joseph Smith taught that “The elements are eternal” (D&C 93:33) and that they always existed. “That which has a beginning will surely have and end” (Teachings of the Prophet Joseph Smith, p. 181) the Prophet reasoned, concluding that these elements had neither beginning nor will they have an end. All things are made of these elements – even the Gods themselves. “The elements are the tabernacle of God” (D&C 93:35). These elements are also called “intelligences” and “Intelligence, or the light of truth, was not created or made, neither indeed can be” (D&C 93:29). However, “The glory of God is intelligence” (D&C 93:36) meaning that God’s power is demonstrated in the fact that he can control and organize these very elements. When a person reaches a status of perfection, as the Father and Son had (but not Michael, the junior member of the Creation quorum), they have the power to command the very elements. Brigham Young taught that Gods are “beings who will hold control over the elements, and have power by their word to command the creation and redemption of worlds, or to extinguish suns by their breath, and disorganize worlds, hurling them back into their chaotic state. This is what you and I are created for” (Journal of Discourses 3: 357). Attempts to make phrases like, “And the Gods watched those things which they had ordered until they obeyed” (Abr. 4:18) seem as though they allow for millions of years are weak attempts to make it appear as though the scriptural accounts of Creation are in sync with modern theories of the age of the earth. The scriptures corroborate together to demonstrate that this is not the case. God has made certain decrees which are fixed and immovable; for instance, God set the sun, the moon, and the stars in the heavens, and gave them their laws, conditions and bounds, which they cannot pass, except by His commandments; they all move in perfect harmony in their sphere and order, and are as lights, wonders and signs unto us. The sea also has its bounds which it cannot pass. God has set many signs on the earth, as well as in the heavens; for instance, the oak of the forest, the fruit of the tree, the herb of the field, all bear a sign that seed hath been planted there; for it is a decree of the Lord that every tree, plant, and herb bearing seed should bring forth of its kind, and cannot come forth after any other law or principle. It is plain from scripture that all plant life was made on this same day. This is in contrast to animal life, which was split up between day 5 and 6. Also, all this creation of plant life was done on the same day as the dry land emerging from the oceans. Why it takes so little time to create plant life as compared to animal life is unclear. What is clear is how completely unparallel the scriptural accounts are to evolution theory. Here we have the scriptures testifying that plants (day 3) came before the sun (day 4), yet any evolutionist will tell you that the sun must have been formed long before any plants. It is obvious that these situations cannot both be true. When the theories of men are at odds with what has been revealed by God in multiple places (Genesis, Moses, Abraham, and the temple), we can be sure that it is the theories of men that are in error. The scriptures here tell us that at the beginning of the earth, plants of all kinds were planted on this earth via already existing seeds. Each plant came forth “from its own seed” (Abr. 4:12, emphasis added) suggesting that the seeds for every plant on our planet has already long existed elsewhere. “Whenever did a tree or anything spring into existence without a progenitor?” (Joseph Smith, Teachings of the Prophet Joseph Smith, p. 373), the Prophet asked in connection to this idea. 16 And I, God, made two great lights; the greater light to rule the day, and the lesser light to rule the night, and the greater light was the sun, and the lesser light was the moon; and the stars also were made even according to my word. 17 And the Gods set them in the expanse of the heavens, to give light upon the earth, and to rule over the day and over the night, and to cause to divide the light from the darkness. 18 And the Gods watched those things which they had ordered until they obeyed. On day 4 God created the sun and the moon. These were to be “for signs, and for seasons, and for days, and for years” and also “to divide the day from the night” and “be for lights in the firmament of the heaven to give light upon the earth” (Moses 2:14-15; Abr. 4:14-15). The intention of these great lights was not only to provide our light but to be a bearing for us by which we could measure time. It is very interesting, and indeed very contrary to the theory of evolution (again), that God made the sun and moon on day 4. According to evolution theory, the sun appeared long before the earth. But the scriptures verify that the Creation of the earth predates the Creation of the sun by thousands of years, on day 1. It was at this point on the 4th day that God was preparing the earth for the time when it should fall out of his presence through Adam’s transgression. Mankind would need a more natural, temporal light source than the presence of God once Adam partook of the forbidden fruit. And so the sun and the moon were created in anticipation of this great event, the Fall of Man. Once the Fall of Man was completed and Adam and Eve were thrust out from the Garden of Eden, the earth and its accompanying orbs, the sun and the moon, were spirited through space to their present location by means of “a conduit” (JS-H 1:43) of sorts. It should be noted that the mention of the stars on day 4 is a recap of what had already been created long before. The phrase “and the stars also were made even according to my word” (Moses <?xml:namespace prefix = st1 ns = "urn:schemas-microsoft-com:office:smarttags" />2:16) is an out-of-sequence, matter of fact notation, since by this time the stars had been in existence for a very long time. God is simply here saying that on day 4 he made the sun and the moon, and that over the course of many eons prior to this he also made the stars. 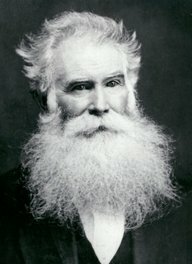 William W. Phelps, in the Times & Seasons testified that the Egyptian papyri in Joseph Smith’s possession informed us that “agreeably to the records found in the catacombs of Egypt, [the Creative enterprises of Christ have] been going on in this system, (not this world) almost two thousand five hundred and fifty five millions of years [or 2,555,000,000 years]” (Times and Seasons, vol. 5 (Jan. 1844-Jan. 1, 1845), No. 24). Therefore, the Lord has been creating worlds through the instrumentality of his Son already for that length of time. And before our world was created, Christ said, “We will go down, for there is space there,” suggesting that in other places there was not sufficient space, “and we will take of these materials, and we will make an earth whereon these [people] may dwell” (Abr. 3:24, emphasis added). God also said, “worlds without number have I created” (Moses 1:33) and “there are many worlds which have passed away by the word of my power. And there are many that now stand, and innumerable are they unto man” (Moses 1:34). 21 And I, God, created great whales, and every living creature that moveth, which the waters brought forth abundantly, after their kind, and every winged fowl after his kind; and I, God, saw that all things which I had created were good. 21 And the Gods prepared the waters that they might bring forth great whales, and every living creature that moveth, which the waters were to bring forth abundantly after their kind; and every winged fowl after their kind. And the Gods saw that they would be obeyed, and that their plan was good. 22 And the Gods said: We will bless them, and cause them to be fruitful and multiply, and fill the waters in the seas or great waters; and cause the fowl to multiply in the earth. On day 5, the Lord created “great whales, and every living creature that moveth” (Moses <?xml:namespace prefix = st1 ns = "urn:schemas-microsoft-com:office:smarttags" />2:21; Abr. 4:21) meaning all the creatures of the sea, including fish, whales, giant squid, plesiosaurs, crayfish, and every kind of aquatic life, whether ancient or modern in the evolutionary worldview; all aquatic life was made together on day five. Also on day 5, “every winged fowl after his kind” was created. This would include sea gulls, doves, ravens, as well, no doubt, as other creatures which shared the heavens which are not viewed as conventional birds. This would undoubtedly include bats, pterodactyls, and the like. 26 And I, God, said unto mine Only Begotten, which was with me from the beginning: Let us make man in our image, after our likeness; and it was so. And I, God, said: Let them have dominion over the fishes of the sea, and over the fowl of the air, and over the cattle, and over all the earth, and over every creeping thing that creepeth upon the earth. 27 And I, God, created man in mine own image, in the image of mine Only Begotten created I him; male and female created I them. 28 And I, God, blessed them, and said unto them: Be fruitful, and multiply, and replenish the earth, and subdue it, and have dominion over the fish of the sea, and over the fowl of the air, and over every living thing that moveth upon the earth. 29 And I, God, said unto man: Behold, I have given you every herb bearing seed, which is upon the face of all the earth, and every tree in the which shall be the fruit of a tree yielding seed; to you it shall be for meat. 31 And I, God, saw everything that I had made, and, behold, all things which I had made were very good; and the evening and the morning were the sixth day. 26 And the Gods took counsel among themselves and said: Let us go down and form man in our image, after our likeness; and we will give them dominion over the fish of the sea, and over the fowl of the air, and over the cattle, and over all the earth, and over every creeping thing that creepeth upon the earth. 29 And the Gods said: Behold, we will give them every herb bearing seed that shall come upon the face of all the earth, and every tree which shall have fruit upon it; yea, the fruit of the tree yielding seed to them we will give it; it shall be for their meat. 31 And the Gods said: We will do everything that we have said, and organize them; and behold, they shall be very obedient. And it came to pass that it was from evening until morning they called night; and it came to pass that it was from morning until evening that they called day; and they numbered the sixth time. Here on day 6 the rest of the life was created that was to inhabit the planet. “cattle, and creeping things, and beasts of the earth after their kind” (Moses <?xml:namespace prefix = st1 ns = "urn:schemas-microsoft-com:office:smarttags" />2:24; Abr. 4:24). This was the day of the land animals and creatures: Cows, oxen, dogs, tigers, bears, elephants and mastodons, and the so-called dinosaurs which were of the land-roving variety. God said, “For in six days the LORD made heaven and earth, the sea, and all that in them is” (Ex. 20:11; Mosiah 13:19, emphasis added), which necessarily includes the dinosaurs. They were simply pre-Flood animals, and a normal part of the Creation. The fact that they are no longer living is no doubt due mainly to the Flood, after which the dinosaurs had a difficult time adjusting to the new climate or were killed off as humans expanded their territory. The idea that man and dinosaurs existing at the same time would be cataclysmic is unfounded. Yes, the dinosaurs were large before the Flood, but so was everything else, including some people (Moses 8:18). Also, large and dangerous animals still exist today, but have yet to destroy our civilization. Evidence that dinosaurs are of recent Creation exists, but is not widely broadcasted, as evolution is the accepted thought of the scientific establishment. Contrary views are not welcome. If evidence existed that clearly indicated that dinosaurs have lived recently, would that not virtually disassemble evolution theory? And yet two times now in recent years, scientists have found soft and stretchy organic tissue inside the bones of dinosaurs! 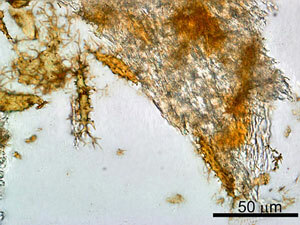 How could bone marrow tissue still be soft and stretchy after 65 million years? Soft tissue has been found inside the femur bone of a Tyrannosaurus rex, seen on the right. Later, soft tissue was also found inside the bones of a hadrosaur (duckbilled dinosaur), seen on the right. Those animals that are included among the “creeping things” (Moses ?2:24; Abr. 4:24) are no doubt snakes, reptiles, insects, and such creatures; the “icky” things, basically. That “creeping things” included such creatures, and not just insects, is confirmed by John Taylor, who taught, “[God] takes care of the reptiles and other creeping things...” (John Taylor, Journal of Discourses 10:260). After creating all the animals of the earth, “the Gods went down to organize man in their own image, in the image of the Gods to form they him, male and female to form they them” (Abr. 4:27). This was the crowning event of the Creation – the placement of man upon the earth. “[T]his is my work and my glory” God has told us explicitly, “to bring to pass the immortality and eternal life of man” (Moses 1:39). Man was the entire reason for this whole fuss over the Creation. Man is the purpose and the reason for the earth (D&C 49:16-17). How was man created? The scriptures say, “I, the Lord God, formed man from the dust of the ground, and breathed into his nostrils the breath of life; and man became a living soul” (Moses 3:7). Of Eve it was written, “I, the Lord God, caused a deep sleep to fall upon Adam…and I took one of his ribs and closed up the flesh in the stead thereof; And the rib, which I, the Lord God had taken from man, made I a woman” (Moses 3:21-22). Here, for the first time in the narrative, uniquely at the Creation of mankind, the scriptures use a coded, figurative expression. The reason that we know that these expressions are more than they seem is not because we are trying to conform the Gospel to a popular modern theory, but because the scriptures themselves tells us so! We would not be warranted in coming to such a conclusion if the scriptures did not give us a key to interpretation. It is not right to make the scriptures conform to some modern theory and do violence against the text. If we are to make an unconventional interpretation, there must be scriptural or otherwise prophetic support for it. Surely both the skeptical and the curious the world over will ask, when confronted with the idea of such a recent Creation of our earth, “what about scientific dating methods? Do they not prove that the earth is billions of years old?” Many people assume that scientists have proven that the earth is billions of years old by Carbon or similar radiometric dating. Of course, this is a distortion of the facts. It will be helpful to explain these things a little bit, and also discuss the limitations and assumptions associated with such techniques. There are many forms of radiometric dating, among which the most famous is Carbon dating. All of these dating techniques share the same fundamental assumptions and weaknesses. Here is how Carbon dating works: as sunlight strikes the atmosphere of the earth, it converts a tiny amount of Nitrogen into a radioactive isotope of Carbon, called Carbon 14, or C-14 (Carbon’s normal atomic weight is 12). Slowly, this radioactive isotope decays back to its Nitrogen form. By extrapolation, it is understood that it would take about 5,730 years for half of the C-14 molecules to decay. This amount of time which it takes for half of the substance to decay is called a half-life. In another 5,730 years, only ¼ of the radioactivity would be left, and half of that would be gone in another 5,730 years, and so on like that. C-14 enters into plant life along with regular Carbon in the form of CO2 as plants “breathe” in the carbon dioxide through the process of photosynthesis. As animals eat the plants, they take on the radioactive C-14 in their systems in the same ratio. And so plants and animals take on a measurable amount of this radioactive isotope in their systems throughout their lifetime. After the organisms die, they stop assimilating C-14. Scientists then measure the amount of C-14 in old material that was once living, compare it to the amount of C-14 in the atmosphere now, and count backward in half-lives to determine how old the sample is. That means that the Flood would have had the effect of making specimens test at an artificially old age. Apparently events like the industrial revolution have also affected the C-14/C-12 atmospheric ratio (ibid, p. 246). However, according to Brown, dates tested that are less than 3,500 are likely fairly accurate (ibid, p. 244). But when we go past 5,000 years, before the Flood, the dates are artificially old because of the change in C-14 concentration. Actually, Carbon dating is a complex evidence for a young earth! Because C-14 is constantly being created in the atmosphere by sunlight, and it is also constantly decaying away, scientists knew that it must have at some point reached an equilibrium where the amount stabilizes. Unless the C-14 were in equilibrium in the atmosphere, it would be rather irrelevant as a dating tool, since it would be fluctuating and skewing results. It was calculated by scientists that the C-14 equilibrium would have taken place within the first 30,000 years of the earth. Of course, since evolutionists assumed that the earth is much older than that, they initially thought that the equilibrium problem could be completely overlooked. However, the amount of C-14 is still in fluctuation, showing that it has not yet reached equilibrium (ibid, p. 246). This indicates that the earth is less than 30,000 years old. There are some that think since radiometric dating gives such great ages for life on this planet, that this is evidence that the six Creative periods were millions or billions of years long. This notion, however, is shown to be false by the scriptures, since before the Fall, “all things which were created must have remained in the same state in which they were after they were created; and they must have remained forever, and had no end” (2 Ne. 2:22, emphasis added). This means that there would have been no death, geologic turmoil, or radioactive decay prior to the Fall of Man. It is untenable to suggest that such things would hold sway in a paradisiacal earth while it was still in the presence of God. And so, according to the Book of Mormon, the six Creation periods cannot account for the time that is thought necessary to produce the millions of years’ worth of radioactive decay, or fossils, since that could start only after the Fall of Man. What about the “Fossil Record”? Frequently, fossils are not vertically sequenced in the assumed evolutionary order. For example, in Uzbekistan, 86 consecutive hoofprints of horses were found in rocks dating back to the dinosaurs. Dinosaur and humanlike footprints have been found together in Turkmenia and in Arizona. Sometimes, land animals, flying animals, and marine animals are fossilized side-by-side in the same rock. Dinosaur, whale, elephant, horse, and many other fossils, plus crude human tools, have reportedly been found in phosphate beds in South Carolina. Coal beds contain round, black lumps called coal balls, some of which contain flowering plants that allegedly evolved 100 million years after the coal bed was formed. In the Grand Canyon, in Venezuela, and in Guyana, spores of ferns and pollen from flowering plants are found in Cambrian and Precambrian rocks – rocks deposited before life supposedly evolved. A leading authority on the Grand Canyon even published photographs of horselike hoofprints visible in rocks that, according to the theory of evolution, predate hoofed animals by more than a hundred million years. Other hoofprints are alongside 1,000 dinosaur footfprints in Virginia. Another startling reason to reject evolutionary assumptions about the layers in the earth representing different ages of time, is the fact that fossilized trees are found running through and connecting many of these layers. If each of these layers represents an age of millions of years, why are trees found embedded vertically across multiple layers? Such fossils are called polystrate fossils when they run through multiple layers (ibid, p. 10). How could a single tree run through multiple sedimentary layers if it were not rapidly buried in that position? Even after all this, many theological liberals will insist that the Creation narrative is only an allegory. They desperately want to leave room for the theories of men, and in doing so throw out the Creation story itself. They will say, “The Bible was never intended to be a science textbook.” That is very obviously true. But often this phrase is spoken with the suggestion that nothing credible about science or the beginnings of the world can be learned from scripture. In actuality, scripture is our best source, our best key to the past that we could ask for. To suggest that God gave us inaccurate information is absurdity because it makes God dishonest. To suggest that God gave us an entirely figurative account of the Creation is not consistent since it is presented as real events. It is true that the information relating to the Creation of man is figurative, but we know that it is so because God gave us the key to interpreting this mystery in the scriptures themselves (as found in Moses <?<st1:time Hour="18" Minute="59">6:59; <?<st1:time Hour="18" Minute="22">6:22). We cannot assume the same for the Creation of the earth, however, in which no such interpretive key is given to us by the scriptures. This was the Prophet Joseph Smith’s method for understanding the scriptures. He said in relation to interpreting the scriptures, “Everything that we have not a key-word to, we will take it as it reads” (Joseph Smith, Teachings of the Prophet Joseph Smith, p. 293). It does not enrich a scriptural story to suggest that it was fake or never happened. By saying that the Creation accounts are strictly allegorical, nothing is gained and much is lost. We can have just as much or more symbolic meaning from a literal event as we can from a fake event, so it does not make sense to suggest that God told us a fake story to teach us some lesson. God is “a God of truth, and canst not lie” (Ether <?<st1:time Hour="15" Minute="12">3:12; Enos 1:6). Therefore we can expect his scriptures to be accurate and not full of fiction. It is clear that the scriptures are accurate in their accounts of the Creation of the world. The six Creative periods were approximately 1,000 years in length each, according to the scriptures, and we are therefore bound to accept that idea as true. All types of creatures that ever lived on this earth dwelt on the earth at the time Adam and Eve were placed in the Garden of Eden. The events of the Creation days do not coincide with the popular theory of evolution, as much as some may try to make it appear so. Trusting the scriptures is our best chance to discovering the truth about the Creation of the world. The scriptures have given us their witness about the events of the Creation. The question remains: Do we have the faith to believe them? “http://creation.com/dinosaur-soft-tissue-and-proteineven-more-confirmation” on <?xml:namespace prefix = st1 ns = "urn:schemas-microsoft-com:office:smarttags" />06/10/2009.